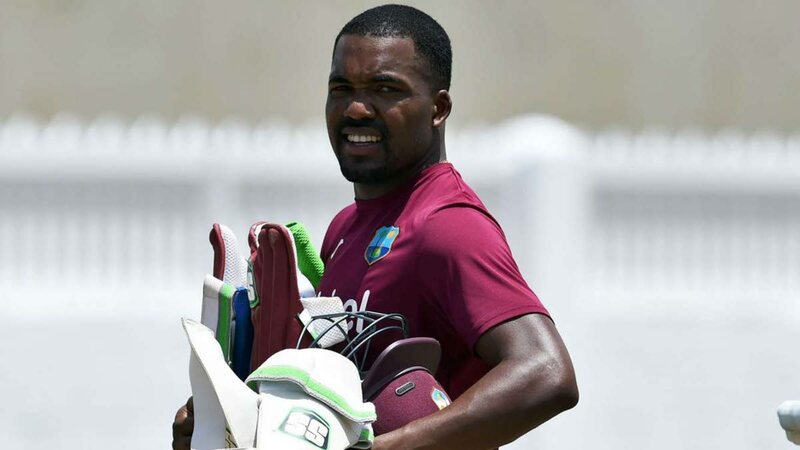 NATIONAL selector David Furlonge believes TT's prodigious left-handed batsman, Darren Bravo, could be the x-factor as West Indies aim to salvage pride and ego in the One-Day International (ODI) series against Bangladesh starting Sunday. The Bangladeshis swept the Windies 2-0 in the Test rubber and will now host the Caribbean outfit in three ODIs and three Twenty20 (T20) encounters. "It's nice to see him [Darren] back. To be honest, it's long overdue. I'm glad to see him recalled and Darren making himself available for the West Indies in all formats. After the Test losses, he can be the x-factor the Windies need, but of course, he's just one man. He'll need someone at the other end of the wicket to help him," Furlonge said. Furlonge is of the belief Bravo's ability to comfortably play spin gives him the edge – an issue which has plagued the squad for the entire tour so far. The Windies lost all 40 wickets in the Tests due to spin and Furlonge, who has worked as a coach with Bravo for years at Queen's Park Cricket Club, thinks he can remedy this. "He's one of the better players of spin in the Caribbean and has been for years. He can take control of and stabilise a game and he's fully concentrated on getting the job done. Darren has always been very positive about his game and I don't see him taking a different approach this time around. We've seen him deal with spin for years in the national team, in the CPL and with West Indies, so I'm confident in him, and I'm sure he's confident in his own ability," he added. Furlonge also praised the Santa Cruz native for wanting to represent the West Indies again, making it clear he's ready for all formats. "Darren has never kept it a secret that he wants to play for West Indies. Now that he's back in the 50 over squad, he's also available for the West Indies four-day games [for Red Force] so that he can return for the England series early next year too," continued Furlonge. It's welcome news for fans who want to see him playing for the Red Force and taking to the pitch for Test matches once again. Of course, following his championship-winning performances with the Trinbago Knight Riders in the CPL, this means Bravo may indeed be playing every format for the maroon in 2019, as well as the Cricket World Cup. He made just 24 in a high-scoring warm-up one-day match loss to a Bangladesh XI via Duckworth-Lewis with three fours yesterday, but Furlonge admitted it's just a matter of time he finds his scoring touch. He indicated that Bravo, once touted as the next Brian Lara, just needs to take it one step at a time and he'll get back among the runs. With Darren's personal grievances with the TT Cricket Board and Cricket West Indies in the past, the selector also indicated that despite Darren's brother, Dwayne, retiring from all international cricket to focus on his T20 career, that won't affect him. "Dwayne decided to call it quits and save what's left in his tank for his T20 cricket career, but that won't affect Darren. He's positive, focused and fully committed to West Indies and TT's cricket. He just wants to play again because as I've said, playing for the West Indies has been his dream his entire life," the coach concluded. Reply to "‘Bravo the x-factor’"